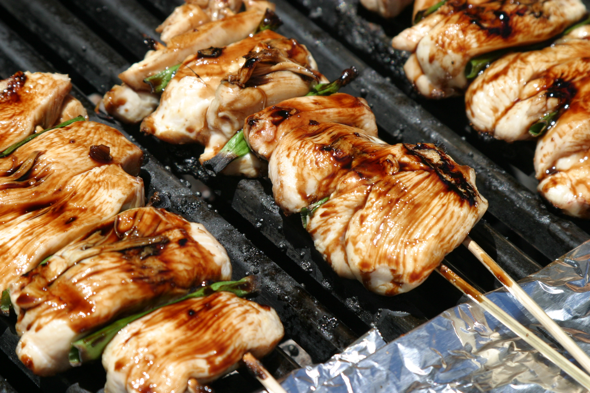 – skewer the chicken strips and scallions onto a pair of bamboo skewers (using 2 makes it easy to turn over). You may also place the scallions on separate skewers as they do not need to cook as much. – in a small sauce pan, mix in the soy sauce, Sake, Mirin, ginger, garlic, and sugar. Sawada-san, this one’s for you! Sorry for your loss, Pascal. Very touching. Thank you, Jenna, I appreciate the kind thought.